(NaturalNews) Peanuts are America's most consumed nut. Once slandered for their high fat content, they are now being touted for promoting a longer and healthier life as well as reducing the risk of cardiovascular-related deaths such as heart attacks and strokes. Previous research conducted at the Harvard School of Public Health showed that when consumed five or more times per week, a one-ounce serving of peanuts can decrease one's diabetes risk by as much as 27 percent, and a handful of peanuts can cut the risk of heart disease in half. This study explains, "Nutrients in nuts, such as unsaturated fatty acids, high-quality protein, fiber, vitamins, minerals, and phytochemicals may confer cardio protective, anticarcinogenic, anti-inflammatory, and antioxidant properties." A new study presented at a recent meeting of the American Society for Nutrition by lead researcher Xiaoran Liu, a graduate student in the Department of Nutritional Sciences at The Pennsylvania State University, has found that including peanuts in a meal has a positive, protective effect on vascular function after eating a high-fat meal. Vascular dysfunction is one of the lead causes of atherosclerosis, plaque formation, and lesions that can lead to coronary heart disease. "Previous studies have shown that individuals who consume peanuts more than two times a week have a lower risk of coronary heart disease," said Liu. "This study indicates that the protective effect of peanut consumption could be due, in part, to its beneficial effect on artery health." This team is not the only one that is researching the benefits of adding peanuts to one's daily diet. Researchers at Vanderbilt University and the Shanghai Cancer Institute published a study on March 2 in JAMA Internal Medicine that shows a clear association between the consumption of peanuts and a lower risk of dying from a heart attack. Although they were not the first to make the link between nut consumption and mortality, most other studies only focused on white people with a higher income. This study, however, found that peanuts can actually improve the heart and health of all races and income classes. "In our study, we found that peanut consumption was associated with reduced total mortality and cardiovascular disease mortality in a predominantly low-income black and white population in the U.S., and among Chinese men and women living in Shanghai," said the senior author of the study, Dr. Xiao-Ou Shu. According to their findings, peanut consumption can slash the risk of death due to poor cardiovascular health by 23 to 28 percent. 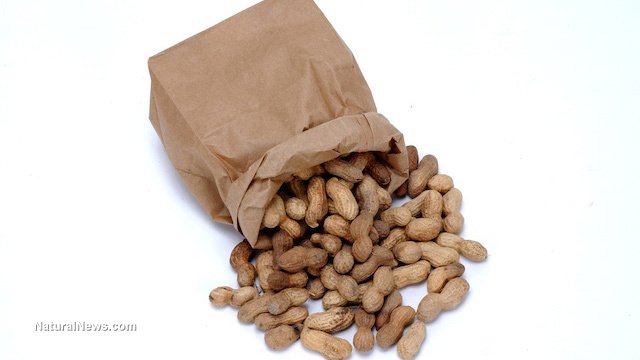 "The data arise from observational epidemiologic studies, and not randomized clinical trials, and thus we cannot be sure that peanuts per se were responsible for the reduced mortality observed. The findings from this new study, however, reinforce earlier research suggesting health benefits from eating nuts, and thus are quite encouraging." While peanuts might show a protective effect on the heart, it is important to remember that like any other nut, peanuts are high in calories. Therefore, it is best is to avoid eating too many peanuts. Peanuts meet the American Heart Association® Heart-Check criteria. This means that they contain fewer than 4 grams of saturated fat, no trans fat, no cholesterol, fewer than 140 milligrams of sodium, and 10 percent or more of the Daily Value of at least one beneficial nutrient like fiber or protein. According to the American Heart Association, we should eat at least four servings of unsalted, unoiled peanuts a week. One serving equates to one small handful or 1.5 ounces of nuts, or two tablespoons of peanut butter.